For over 2000 years flatwoven textiles have been produced in rural hamlets scattered across the massive expanse that is India. 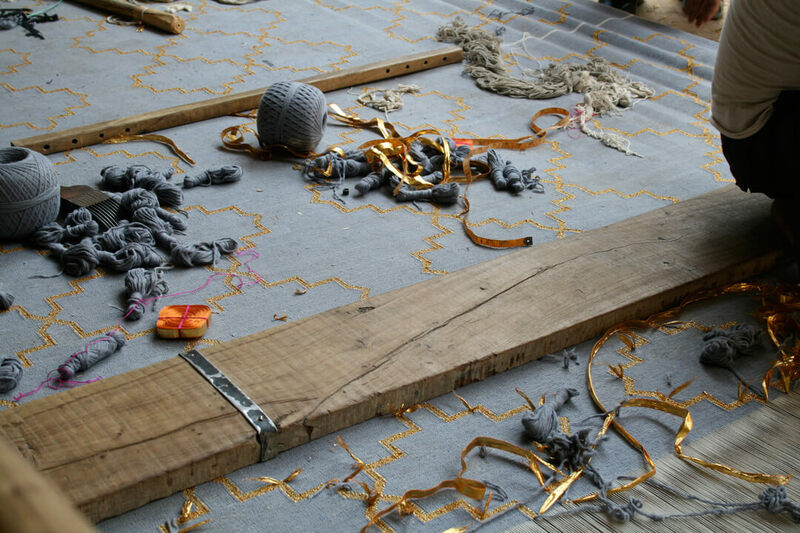 Many originated from the deserts of Rajasthan and this is where our rugs hail from. Historically and even today it’s the farming community who typically weave as a means of supplementing their agricultural income. 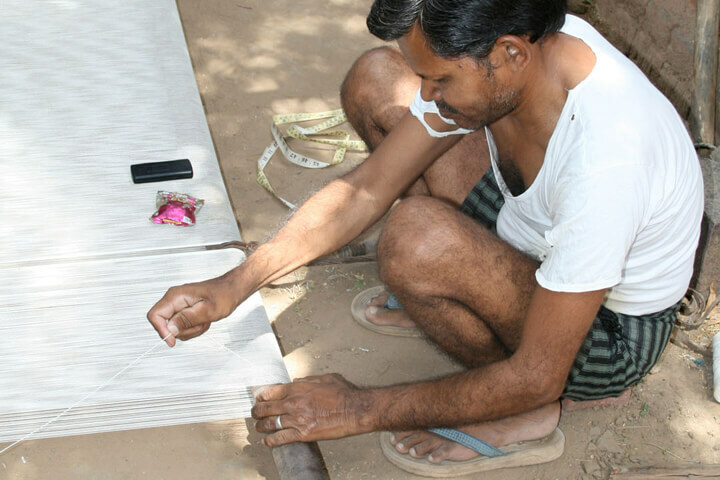 All our Dhurries are hand made by skilled artisans whose fathers and forefathers have woven before them. Each of our Dhurries are carefully and lovingly created from start to finish. 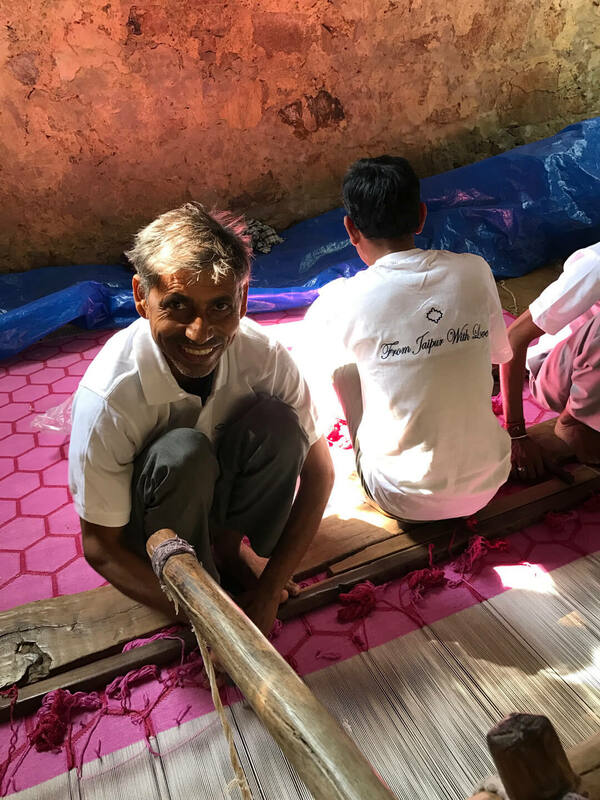 Each aspect of the process is done by hand from the dyeing of the cotton, to the drying, spinning, weaving and finishing. This is usually done by the village women, where the cotton is spun to make yarn. Traditionally done by the Dye Master, who ensures that the colours match the pantone references. 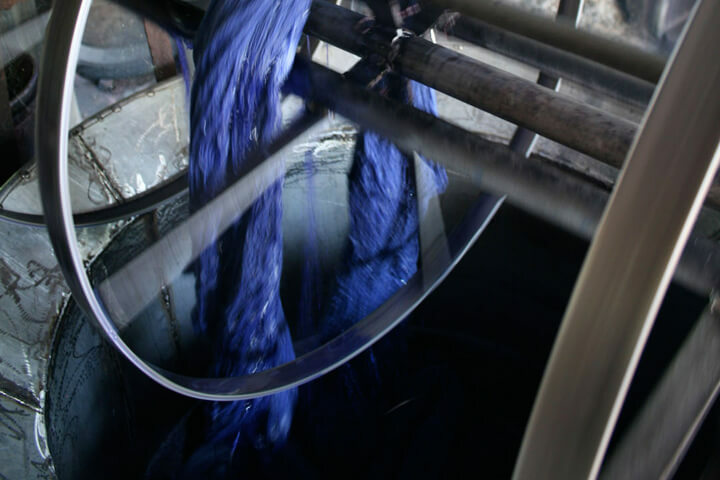 All our dyeing is done by hand. 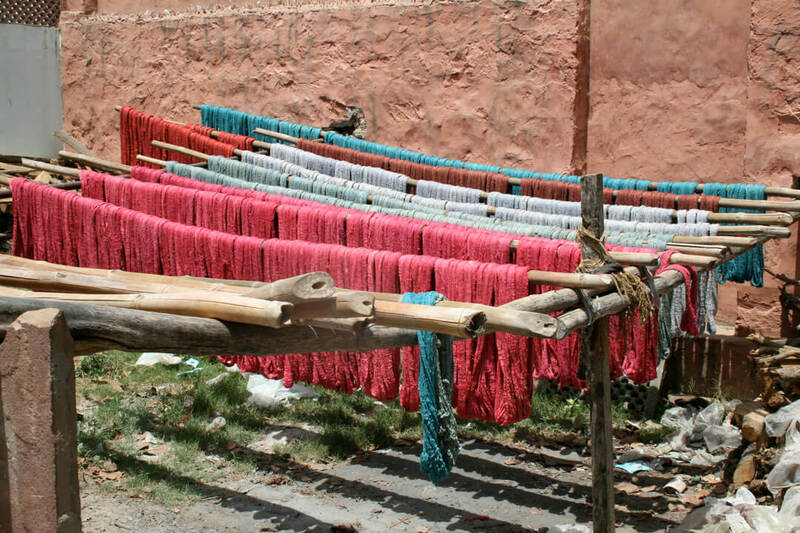 Once the yarn is dyed it is left to dry naturally in the sun. Its dried everywhere from rooftops to rather rudimentary wooden drying stands in fields. 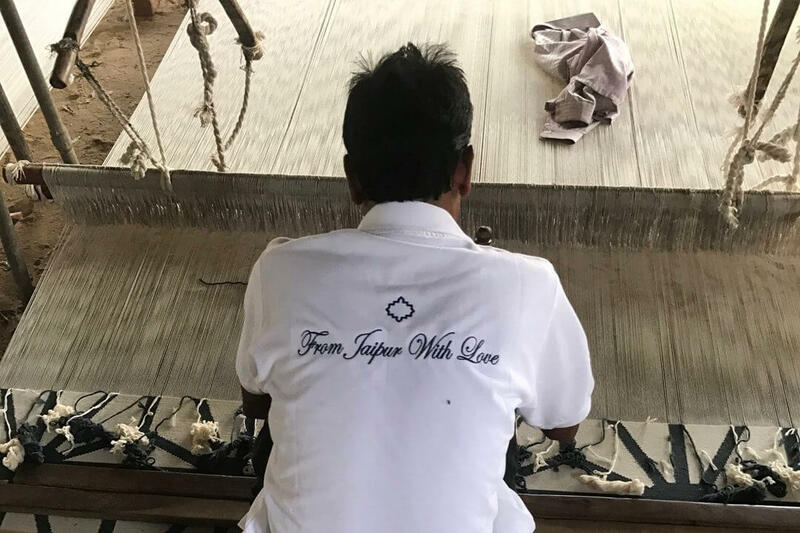 The process of creating a strong thread yarn which is then spooled to make the even thread which the weavers then use on the loom. This is probably one of the most technical parts of the process where the warp is made and ready for weaving. 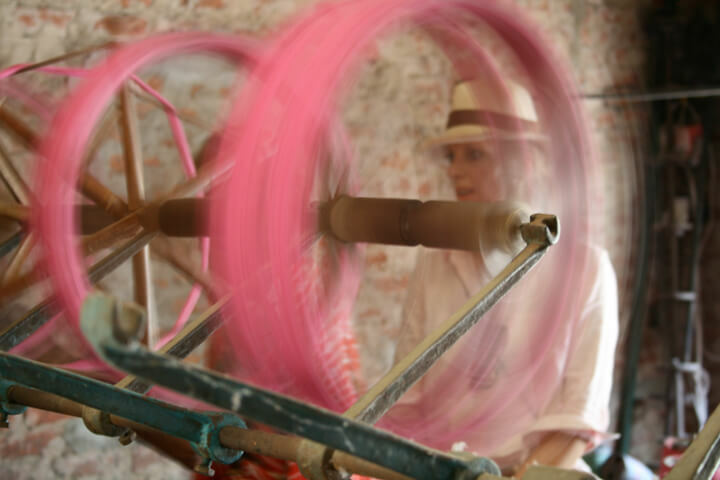 It’s vital that the tension of the loom is correct in order to create the perfect rug. The process of marrying the warp with the weft. 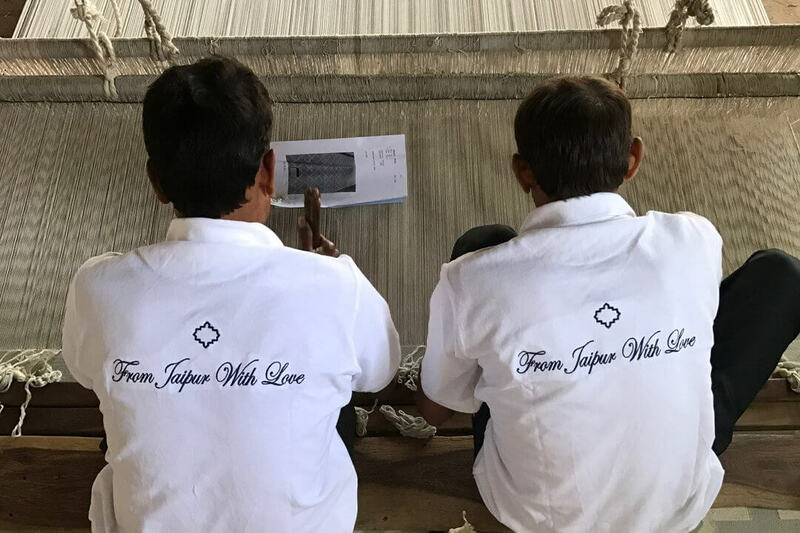 Most of the rugs we produce are woven by two or more men who sit side by side and weave in harmony. Our larger rugs can have up to six men weaving at a time. After weeks of weaving in the deserts of Rajasthan the rugs need to be washed, which is all done by hand. 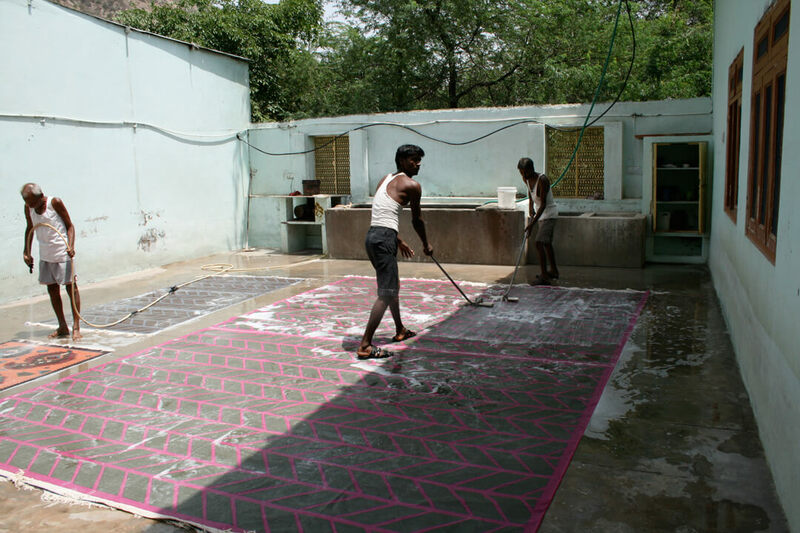 The lighter pastel rugs are washed after sundown to ensure the colours are not affected by the strong midday sun. 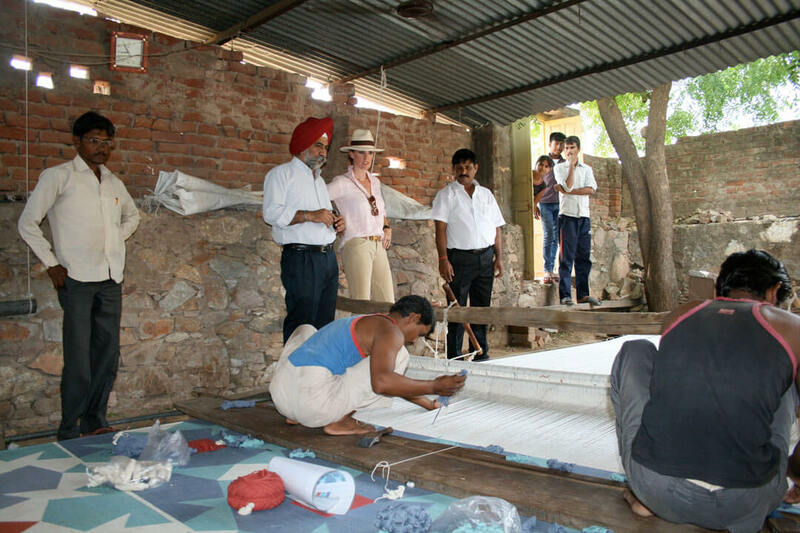 The Dhurrie is then checked and any stray cotton is clipped to ensure a smooth finish. The Dhurrie is then bound and the ends are either platted or created into pom-poms or fancy tassels or just bound in the traditional way, by hand. All of our Dhurries are checked and rechecked to ensure we deliver the finest quality artisan-made product to your home. 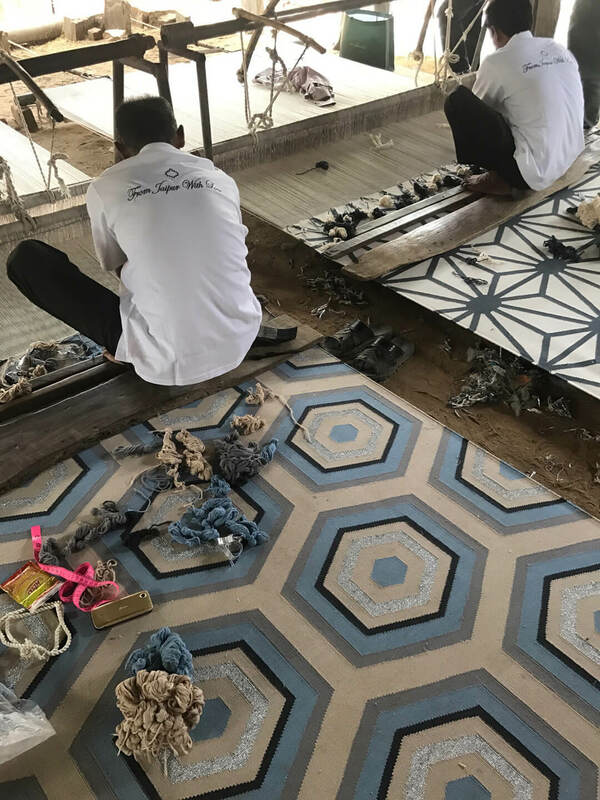 Each rug will have slight imperfections but this adds to the authenticity and beauty of owning a hand made product.